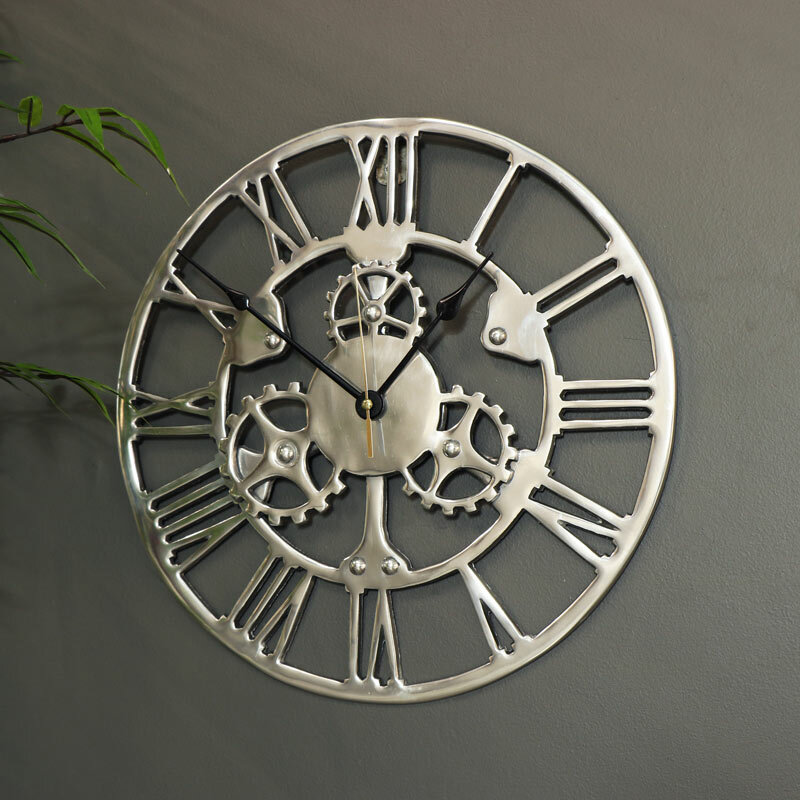 Silver wall clock in skeleton style with cog detail for a rustic, retro & industrial style home decor. Classically designed that will look great wall mounted in the living room or hallway. The bold look will stand out against any wall and make a wonderful statement. 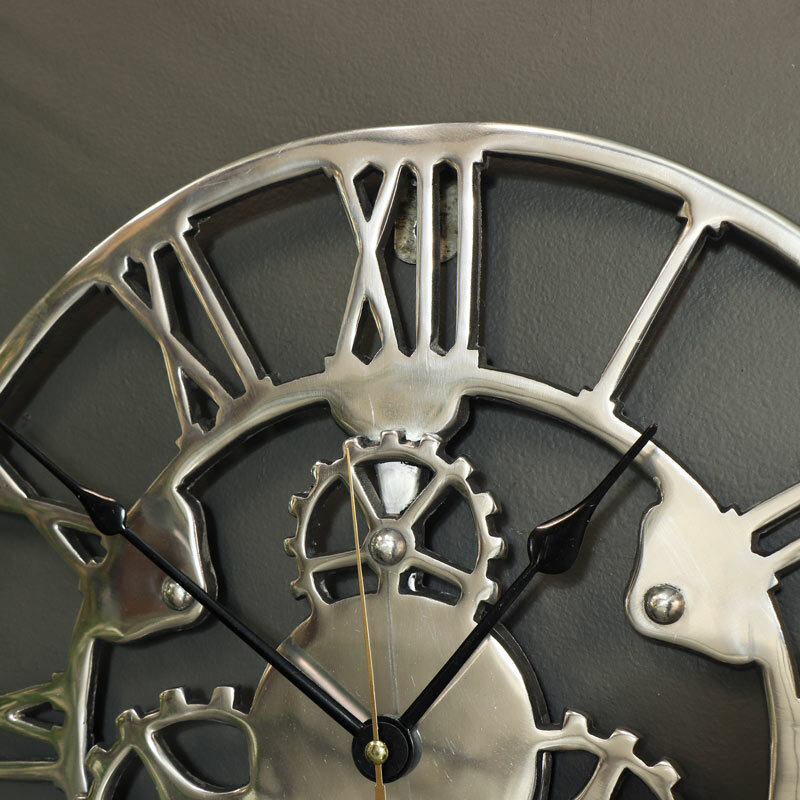 This is just one of the many skeleton style wall clocks we have available. This clock will make a fantastic gift idea for Father's Day or for a housewarming gift. Made from metal in a polished silver finish. Easily wall mounted & takes x1 AA battery (not included). A great addition to our extensive seletion of wall clocks with a great seletion of mantel clocks also available to choose from.